Cost savings tops many municipalities’ lists of priorities, especially with rising costs across the board. With this in mind, municipalities are looking toward alternative fuel sources to cut back on fuel costs. Natural gas is one of the leading money-saving fuel alternatives. Pike Research estimates the market for natural gas trucks and buses will more than double over the next seven years. Currently, according to the Natural Gas Vehicles for America website, there are 120,000 natural gas vehicles on U.S. roads today and more than 15.2 million worldwide. 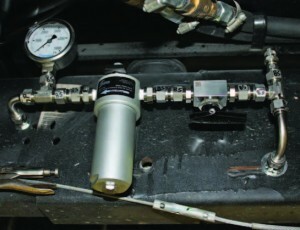 Performance-wise, both Connolly and Matijevich agree CNG vehicles are equivalent to other engine systems such as gasoline or diesel. 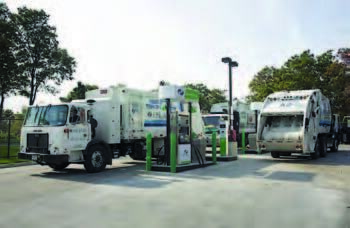 “(CNG) fuel systems have really advanced in the last 10 to 15 years,” said Matijevich, adding that the systems are as safe as or safer than traditional gasoline or diesel vehicles. As a cleaner burning fuel, municipalities can reduce their emissions. Matijevich noted municipalities can also advertise they are going green. Replacing in-use older vehicles with new natural gas vehicles, according to NGVAmericas’s website, lowers carbon monoxide emissions by 70 to 90 percent, non-methane organic gas by 50 to 75 percent, nitrogen oxides by 75 to 95 percent and carbon dioxide by 20 to 30 percent. These lower emissions allow natural gas vehicles to meet the strictest emission standards. Since CNG vehicles also run and idle more quietly, they reduce noise pollution to the benefit of residents and municipal employees. “For riders and employees, it’s a big benefit to not have to worry about exhaust,” said Connolly. Matijevich also suggests municipalities look at their existing vehicles to see if conversion is a feasible option, and consider the initial conversion costs as well as whether their models can be converted. Next, Matijevich and Connolly stated municipalities need to think carefully about who they will partner with to make the switch. 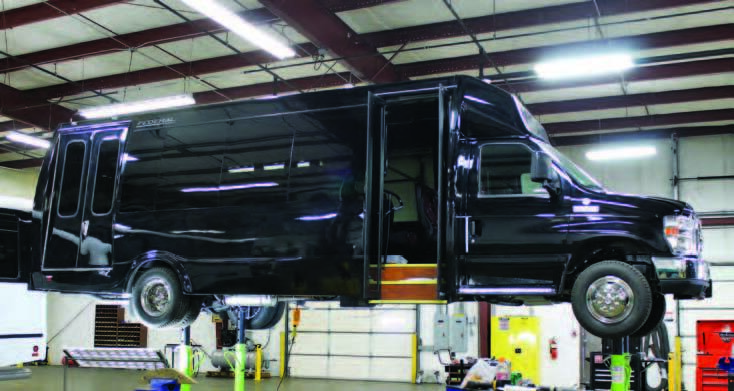 Converters should have all the proper certifications so municipalities do not experience reliability issues or void warranties on their vehicles. Natural gas waste collection and transfer vehicles are the fastest growing natural gas vehicle segment. 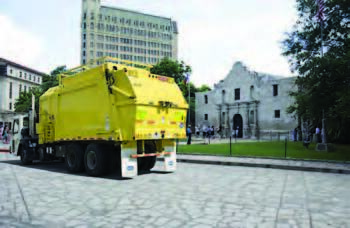 Almost 40 percent of the trash trucks purchased in 2011 are being natural gas powered, according to NGVAmerica. Though a lot of the growth has been coming from private companies, some larger municipalities like Columbus, Ohio; New York City, N.Y.; and Dallas, Texas, have also committed to making the switch to natural gas. Ray Burke, vice president of Clean Energy’s Solid Waste Sector, said that for every 100 natural gas waste removal trucks in use on the road, the emissions of 32,000 older, in-use cars are eliminated. “It’s the cleanest fuel we have today, making it a perfect fit for waste management fleets,” said Ray Burke, vice president of Clean Energy’s Solid Waste Sector. 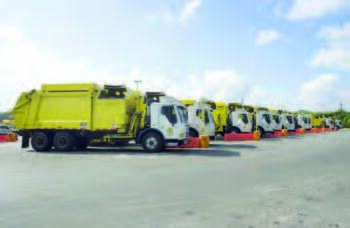 For every 100 natural gas trash trucks on the road, he stated, it’s like eliminating the emissions of 32,000 older in-use cars—a major benefit for communities. Economic returns are also a major driving force for conversion, though returns vary depending on the entity’s purchasing power and the number of gallons each vehicle requires. Burke noted private companies often have more purchasing power than municipalities and can buy at a cheaper price. Private companies are also more prone to keep their vehicles for 10 years, while more municipalities tend to keep their vehicles for approximately five years. Fuel structure can be another issue for municipalities wanting to make the switch. “There are just places in the country natural gas is not available,” Burke said. Most customers who are converting put in their own fueling stations at their fleet depots. At the end of the day, the trucks will return to these depots to fill up and be stored. The lower price of fueling with natural gas, however, is a major incentive, especially when diesel and gasoline prices are rising. Whenever the prices rise, Burke said, he gets more inquiries from customers asking how fast they can get off diesel or gasoline.